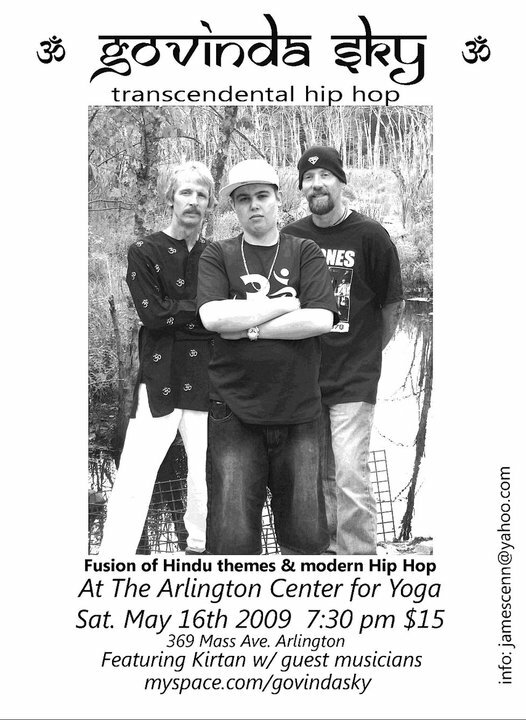 During the many times that he spotted ISKCON devotees chanting in Washington Square Park while growing up in Brooklyn, New York in the late 1960s, Jay Cen could never have imagined that one day he’d be fronting a hip-hop group espousing their teachings. But they caught his interest. He continued to wonder what they were about when he moved to Boston as a teenager and saw them again at Boston Common. He began to hang around them more, join in the chanting, and purchase Back to Godhead magazines from them. At home, he pasted the magazine covers on his wall. It was in the midst of the late sixties and early seventies Indian culture explosion, and so sure, this was hip. But it was more than that. Jay felt something stirring in his soul. But for years, he didn’t follow through with it. Instead, Jay—who was the son of a popular Boston jazz DJ and always had music in his blood—threw himself into music and started a punk rock band called the Deziners with his friend Eddie Kane. It wasn’t until many years later, in 1995, that the thought suddenly crossed Jay’s mind: “I wonder where the Hare Krishna devotees are these days?” It seemed like a random thought, but only two days later, a devotee walked into the healthfood store where he worked. The devotee must have been taken by surprise when the moment he walked in the shop clerk suddenly yelled, “Hey!” Where have you guys been?” But he pulled himself together quickly enough and handed Jay a card inviting him to the local Boston temple. Jay visited, and one year later, he became an ISKCON devotee. 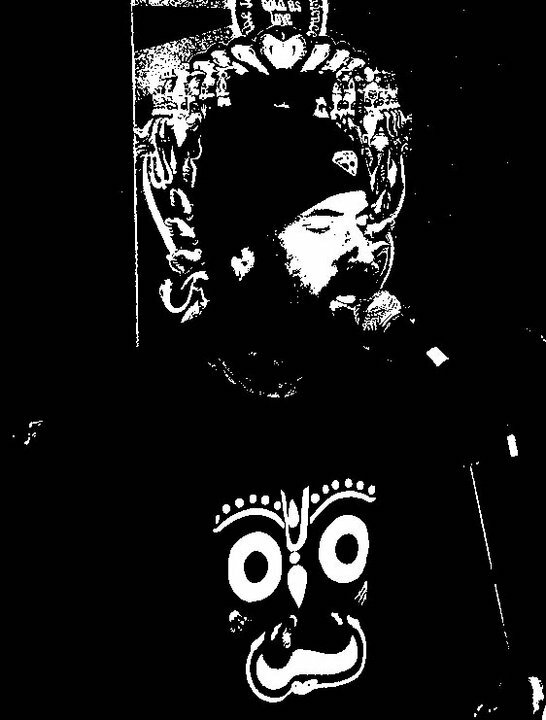 In 2006, Jay—now Jaya Madhava Dasa— was visiting his old friend Eddie, when he noticed that Eddie’s fourteen-year-old stepson Trevor had a little recording studio, and was creating beats in it. “Hey, do you wanna make a track with me?” Trevor asked one day. The song that resulted, “Look to the East,” was a kind of “Eastern philosophy primer” for the yoga community. On it, Jaya Madhava delivers the messages of Krishna, Buddha, Jesus, Moses, and Gandhi. Excited by the track, he suggested to Eddie and Trevor that they start a transcendental Hip-Hop group, and Govinda Sky was born. Roles were assigned naturally, with Jaya Madhava singing all the choruses and writing the devotional lyrics, Trevor Buckingham—or T-Buck—producing and rapping, and his dad Eddie adding an element generally unheard of in hip-hop—guitar solos. 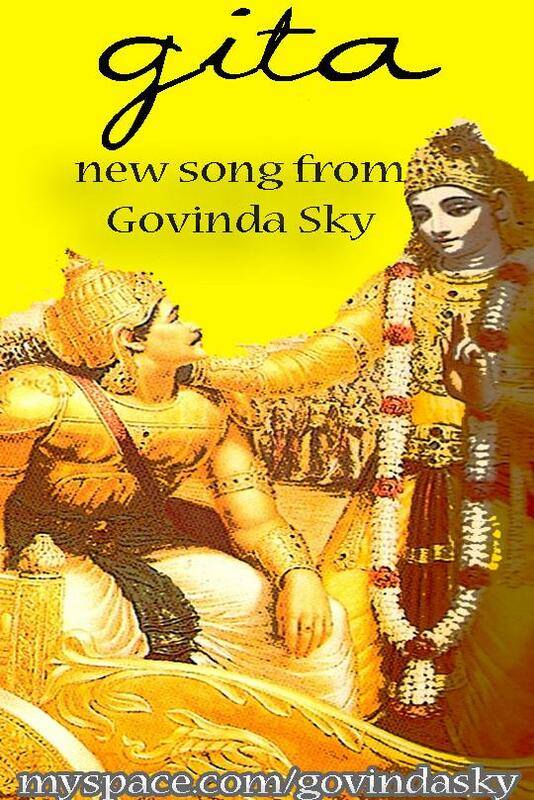 Govinda Sky spent a lot of time carefully fashioning their songs—Jaya Madhava is a perfectionist—and it took a year for them to amass enough for their first album. But at last Surrender was released independently in November 2007, through Itunes and Amazon.com. 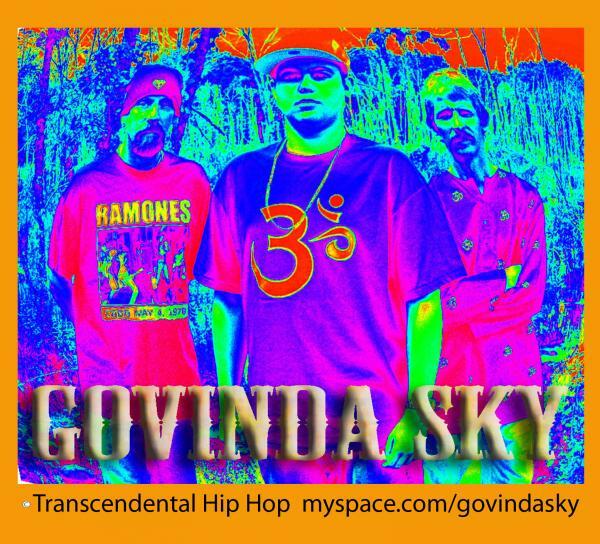 Govinda Sky has received a lot of positive response for their album Surrender, especially from the yoga community. The group perform to small audiences of about thirty people at yoga studios around the Boston area. 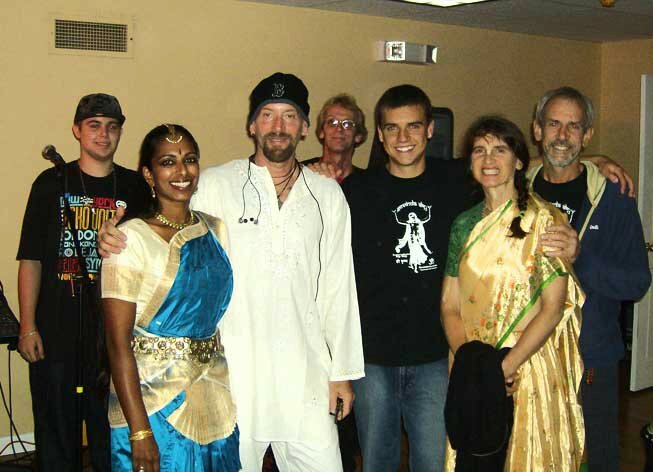 Their shows start off with a traditional kirtan, which, like the band, are a family affair—Chatamayi Dasi, a disciple of Bhakti Tirtha Swami whose son Cole Chadwick has recently become Govinda Sky’s new live drummer, plays the harmonium. Her husband Bhakta Rick plays the mridanga, Jaya Madhava sings, Eddie plays guitar, and Cole plays the African drum. 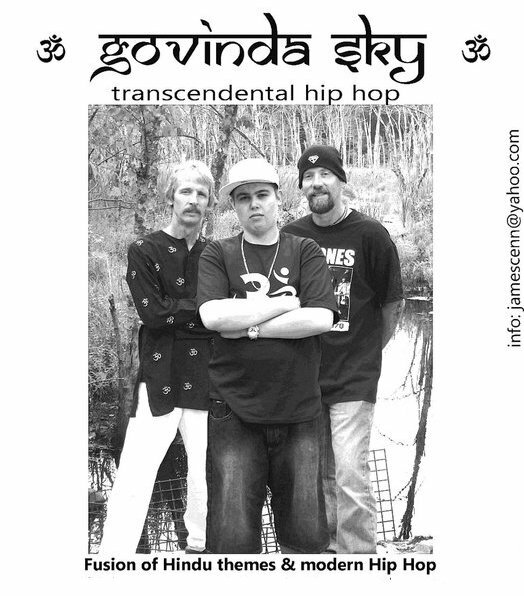 With MC T-Buck busy performing with reggae group Dead Fish, and the rest of the band having a hectic summer, it’s taken Govinda Sky a while to get around to their second album. But they have recently lined up six tracks—with more on the way—and are due to start recording in the fall. 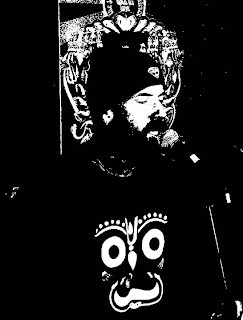 Into the Ether will also touch on social and political subjects in tracks such as “Being Muslim is Not A Crime”—which is Jaya Madhava’s response to the religious bigotry and ‘Islamophobia’ in today’s world—and ‘Let the Animals Keep Their Coats’ an irresistibly catchy reggae track protesting the fur industry.